In 1997, Pope Saint John Paul II established World Day for Consecrated Life to be observed annually on the Feast of the Presentation of the Lord, the 40th day after Christmas, February 2nd. The Feast of the Presentation recalls the Child Jesus entering the Temple in Jerusalem; carried in the arms of His Mother; and accompanied by her husband, Saint Joseph, who probably carried in his arms the Temple offering of the poor: a pair of pigeons or two turtle doves, which would be offered to God in thanksgiving for their firstborn son. As they entered the Temple, what took place was magical. The long-awaited Messiah was recognized by the prophet, Simeon, as God’s glory and the light for all people and by the prophetess, Anna, who declared that she would tell others about Him. Jesus was consecrated that day in the Temple and then He began His salvific work. The Religious in our diocese, whom we honored on February 2nd, were first consecrated at Baptism and then consecrated for the work of God at their Religious profession as they accepted the call to live out the Evangelical Counsels of poverty, chastity and obedience. 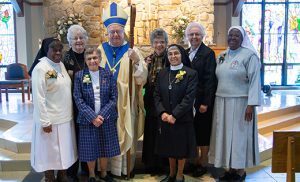 During her years of ministry, each Sister has been like a brightly burning light in a very dark world and each one has given glory to God by her service to others. Their gift of Religious consecration enriches, inspires and sustains the Church on her journey through the world. Their ministries have taken them to many places and to countless women, men and children. In each situation and for each person they have been and are a gift. We offer them heartfelt and sincere gratitude. We pray that during their jubilee year these Women Religious may increase their fervor and their love for the Lord. We praise God for the gift of their Religious consecration as well as for the unique and much needed individual charism of their Religious community. Our Holy Father, Pope Francis, has challenged the Church with the call to Missionary Discipleship. 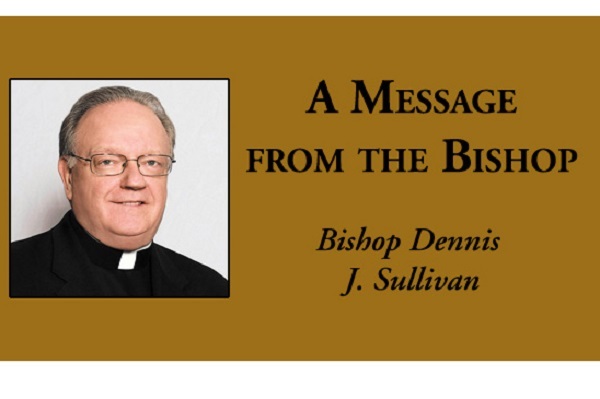 Since their foundations, the Religious communities of our jubilarians have gone forth with missionary fervor to give witness to the Lord and to His Church. In our diocese, consecrated Religious have been essential to the life of this local Church since its establishment 82 years ago.